Over the past four years, KPU has expanded both the scope and the depth of its involvement with local and regional indigenous communities. We support and embrace the Calls to Action from the Truth and Reconciliation Commission. As we undertake an authentic indigenization of our educational delivery we do so understanding that this is a gradual and carefully laid out process encompassing the centering of indigenous knowledge and teaching methods in classrooms, developing and offering programming in indigenous languages and meaningful exchanges of knowledge and tradition. We acknowledge we must continue to make tangible efforts to decolonize our approaches while enabling the resurgence of indigenous agency in our learning activities. To do so we will actively seek the wisdom and experience of local indigenous knowledge keepers, leaders, First Nation communities, and indigenous organizations to help direct our efforts towards genuine ways to increase indigenous participation and education at KPU. We are dedicated to true partnerships, ongoing communication and consultation with the local indigenous communities on whose lands our university is located as well as with local community-based and grassroots indigenous organizations. As a start, we have produced online modules to promote an understanding of indigenous cultures to enhance our faculty, staff and administration’s capacity to work with indigenous students and their diverse communities and to enhance our capacity to provide appropriate support to indigenous students. KPU campuses are situated on the traditional territories of the Kwantlen, Katzie, Semiahmoo, Tsawwassen, Kwikwetlem, Qay’qayt and Musqueam First Nations and we share program delivery offerings with the Squamish First Nation. Of all our campus municipalities, Surrey has the largest urban indigenous population in British Columbia. Of note, 59% of the indigenous population in our KPU region does not currently have any post-secondary education. 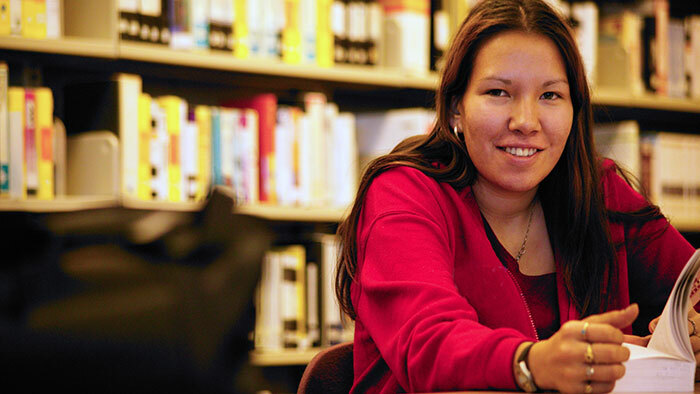 Recognizing a strong need to improve higher learning for indigenous learners, we are committed to post-secondary education being fully accessible and to jointly exploring how the university can significantly support local indigenous communities’ educational needs. We strive to prepare our next generation of citizens and community leaders whose work will enhance local, national and international partnerships, organizations and various indigenous and non-indigenous cultural communities. KPU learners will have access to programs and courses that explore social justice in indigenous local/global contexts. This includes learning about the diversity of indigenous knowledge, cultures, languages, histories, justice systems, laws, governance, and community structures. Through genuine consultation and rigorous development KPU will provide a culturally-safe and welcoming destination for indigenous learners in our region. The university prioritizes being a supportive and comfortable place connecting with and learning from indigenous peoples and their respective ways of knowing. create university-wide awareness of indigenous perspectives, cultures, traditions, histories and ways of knowing among all members of the university community. enhance services and support for indigenous learners at the university. leverage the value indigenous ways of knowing can contribute to our overall educational mission. Engage a manager of indigenous services. Expand exposure of territory acknowledgment. Provide cultural training to staff, faculty, administration, students and alumni. Maintain an active Indigenous Advisory Committee. Encourage the development of indigenous language courses. to support current KPU indigenous students and establish indigenous learning communities. Enhance relationships with local First Nations and indigenous peoples and organizations.